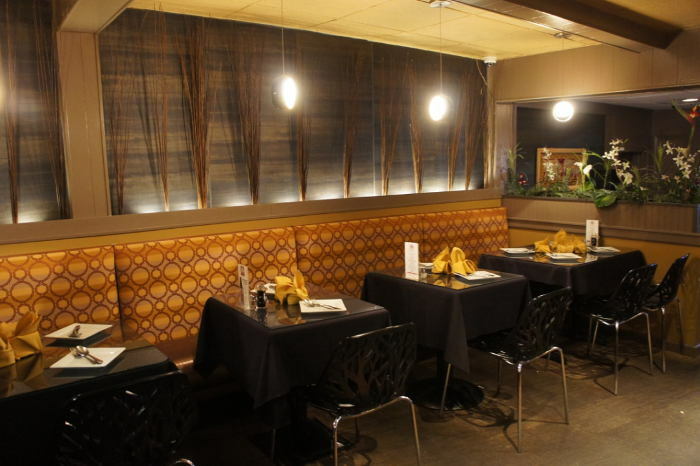 Sun Restaurant is the kind of place that hasn’t stopped evolving since it’s inception in 2010. Owners Kevin and Stephanie Lin have transformed the space from what was once an Asian market with a few tables and a to-go menu to a full service restaurant knocking the socks off of everyone and anyone that comes through the door – civilians and food writers alike. If you’ve never been, allow me to catch you up to speed. The restaurant is partly filled with booths and tables along with a small Black Rice Sushi bar counter overlooking Sushi 2.0 chefs at work. 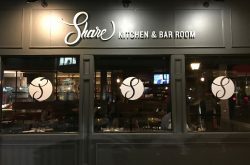 It’s been spruced up over the years and the ever expanding concept offers an enjoyable, comfortable, and casual experience in a stylish space. 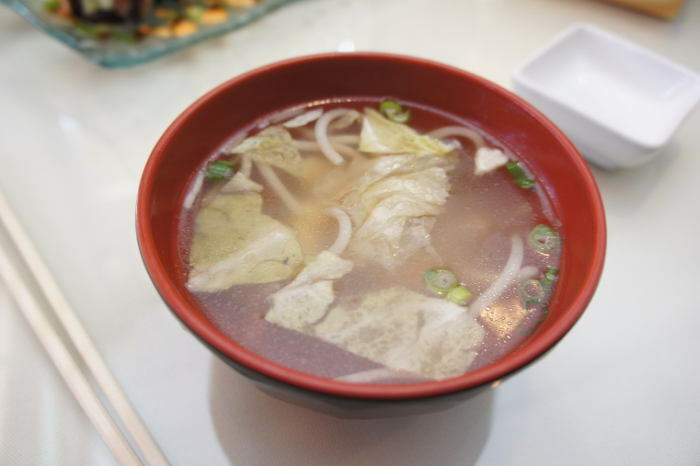 Owner and mastermind behind Sun’s cuisine, Kevin Lin, came to the United States from Japan several years ago. He had a hand in bringing sushi to the masses through a local (and beloved), grocery chain here in WNY. Put two and two together, and you’ll realize that it was Lin who is responsible for most Buffalonians’ love of sushi over the past 18 years. To us, this is a big deal. And it should be to you too. 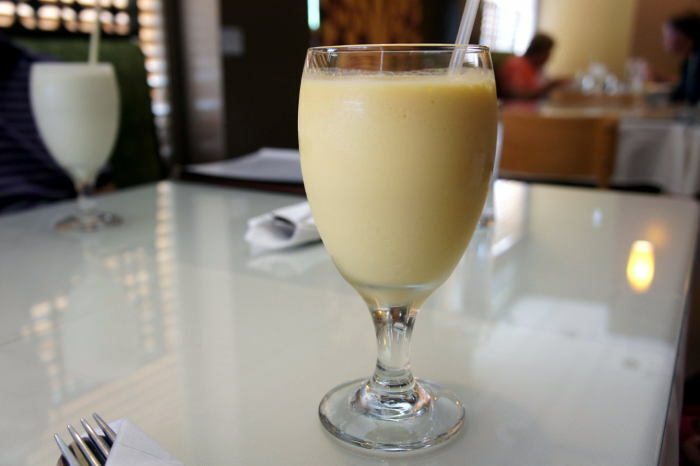 You may notice as you sit to eat that Sun offers a “library” of menus seven days a week. Personally, I’ve never met a library I liked more. 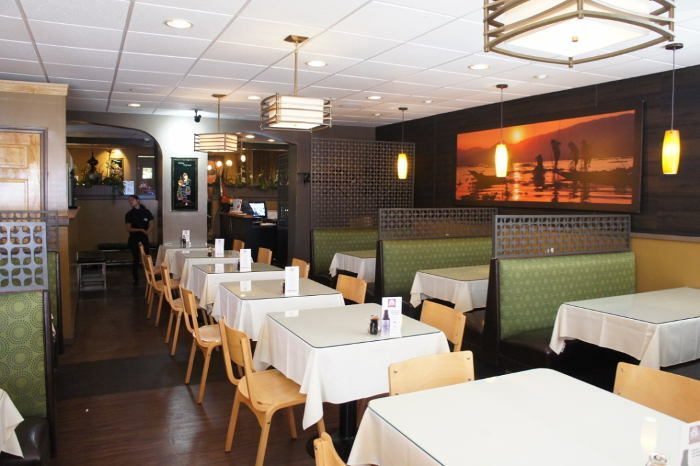 You’ll find that Sun offers 3 different types of cuisine – Burmese, Thai, and Black Rice Sushi (or Sushi 2.0), all of which Lin and the Sun team have mastered. 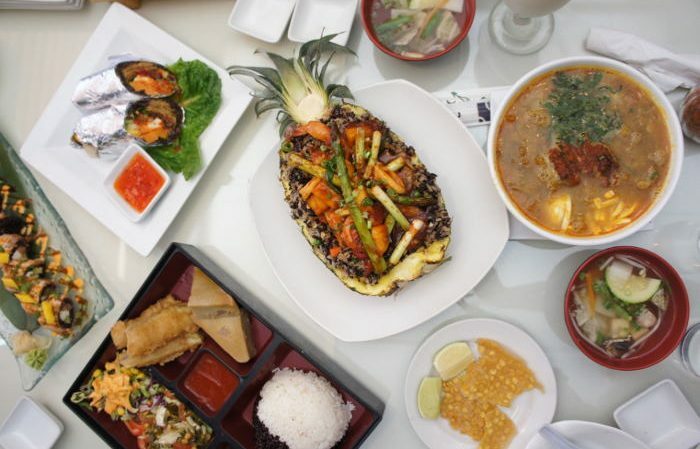 You’ll find delicious traditional Burmese dishes like Catfish Chowder, which is often eaten by Burmese people daily; Pad Thai and Red Curry from the Thai menu; and endless Sushi 2.0 offerings like their Salmon Special Roll and Grand Avocado Roll. 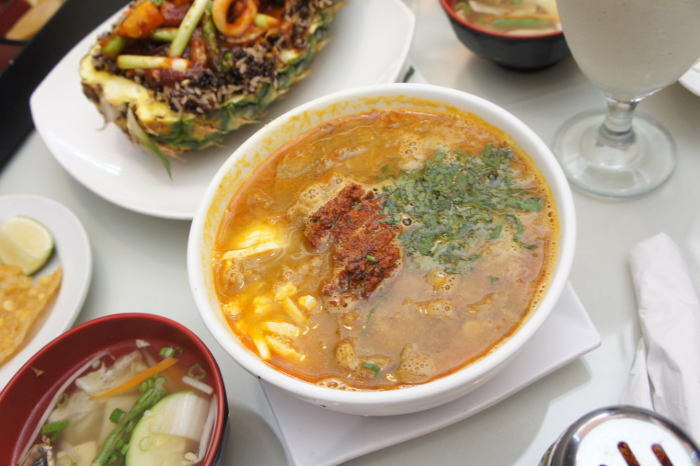 Trust us when we tell you, Lin knows his way around all three cuisines and it’s well worth it to dig into each. There’s a LOT of options though so you might need to take a few trips…unless you’re special like us. 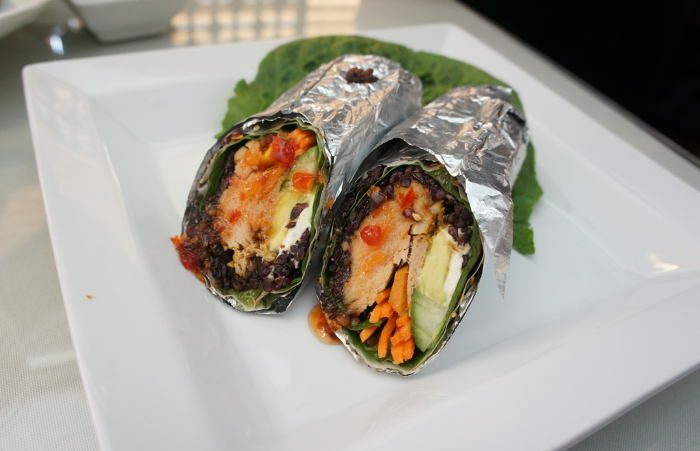 After introducing WNY to sushi, Lin decided to take it to the next level with Black Rice Sushi and opened the first Black Rice Bar in the United States – Sun Restaurant. 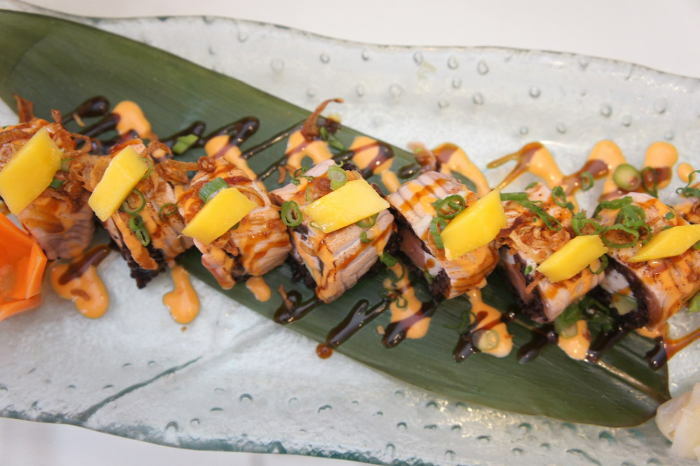 Sushi 2.0, a Lin Family creation, is considerably different from the usual white rice and vinegar you’re used to at other sushi restaurants around town. 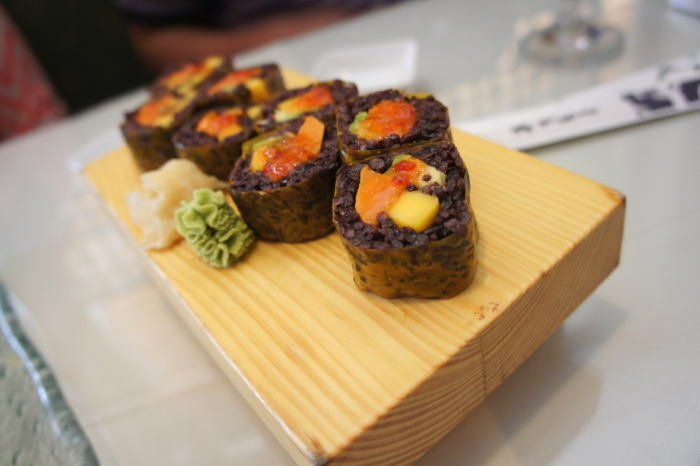 The Black Rice used at Sun is a dark nutty grain believed to have healthful properties in Chinese medicine. Not wanting to use any MSG in their Sushi 2.0 dishes (Sun’s menu is 100% MSG free), Sun decided to use black rice mixed with Southeast Asian ingredients like palm sugar and lemon and lime juice. The health benefits of Sun’s Sushi 2.0 go beyond the lack of MSG. The grain is low in fat, rich in fiber, and full of protein and anti-oxidants with essential vitamins and minerals. The grain has lots of health benefits and contains minerals similar to acai. The lack of MSG especially leaves you feeling happy without the crash, so in other words it’s the perfect mid-day meal (in our opinion anyway). All of the food served at Sun is clean, fresh, and made using high quality ingredients, so not only do you get to be excited about the fact that what you’re eating has tons of flavor but you won’t feel the extreme guilt that often comes with eating out. Frankly, this stuff is super healthy – just the way Kevin intended. We’re talking quality, real food that’s real good. Sun is probably one of the most perfect places to have lunch. 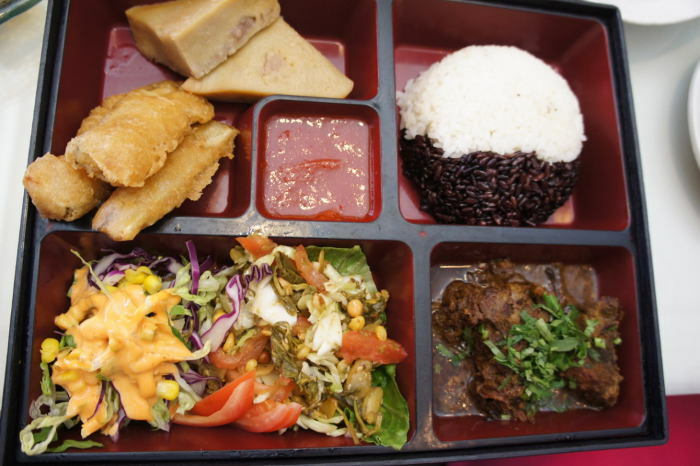 The Burmese Lunch Box for example offers lunchers a chance to try seven, count ’em SEVEN courses for just $12. The lunch box includes the daily special soup and salad, chicken or beef curry (get the beef! 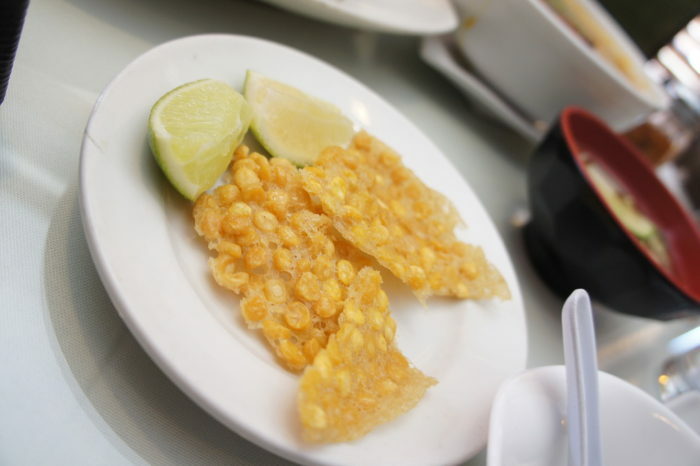 ), Tea Leaf Salad (Le Peth Thoat – Burmese pickled tea leaf combined with crispy chana dal pea, fried garlic, onion, tomato, sesame seed, cabbage, peanuts, and lime juice), Deep Fried Gourd (Buthi Jyaw), and Taro Custard (subtly sweet and mouthwateringly delicious). And if that wasn’t enough it also comes with black and white rice. 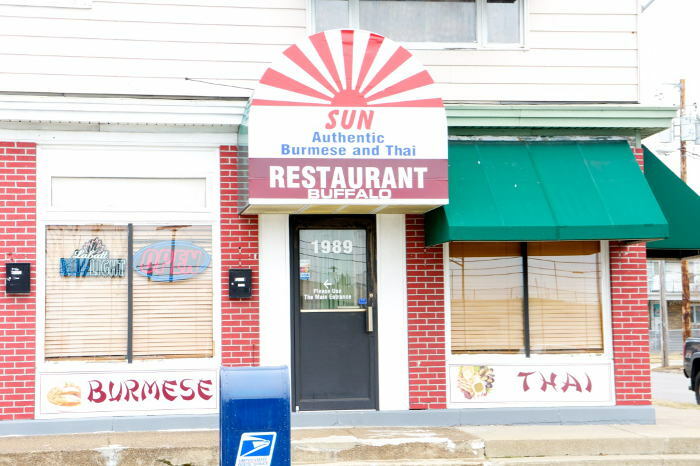 Frankly it’s enough to make me want to go all-Burmese-food-all-the-time and it will likely make Buffalonians fall in love with Burmese food just the same. 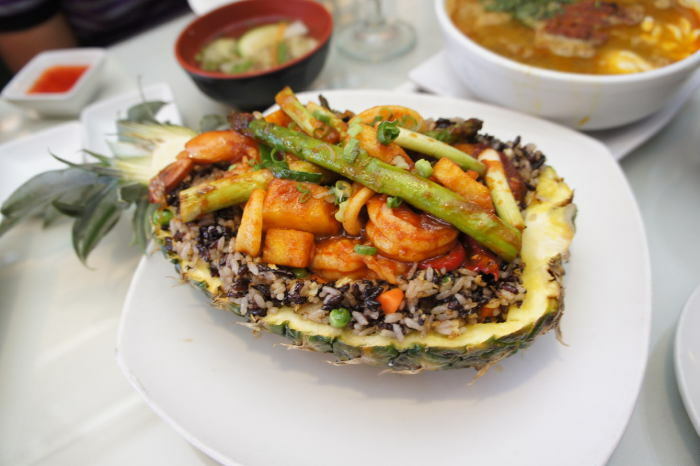 Sparknotes: Lunch at Sun will have you in, out, and full in a reasonable amount of time and they’re just a hop, skip and a jump away from downtown. Parking lot included. Boom. 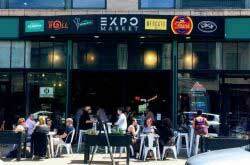 The fact that you can head to Sun and grab a delicious, creative lunch or dinner at a reasonable price is noteworthy. Sure, there are tons of new places popping up around here, but few have the trifecta of quality, diversity, and affordability that Sun presents. If you’re looking for even more reasons to check out Sun, every Thursday they have an awesomely unique special called “Seafood & Sake”. 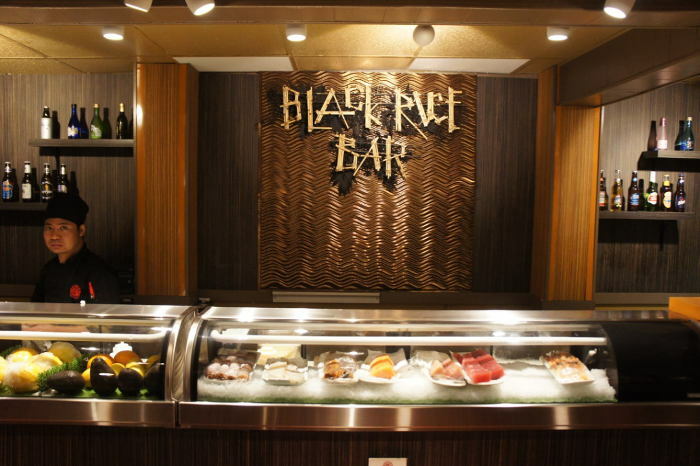 Seafood & Sake lets you try menu favorites like Black Rice Rolls (your choice), a combination of Black Rice Sun Pods, and Sake Flights of 3 for only $5 each. Think of what $20 can get you – oh the possibilities! 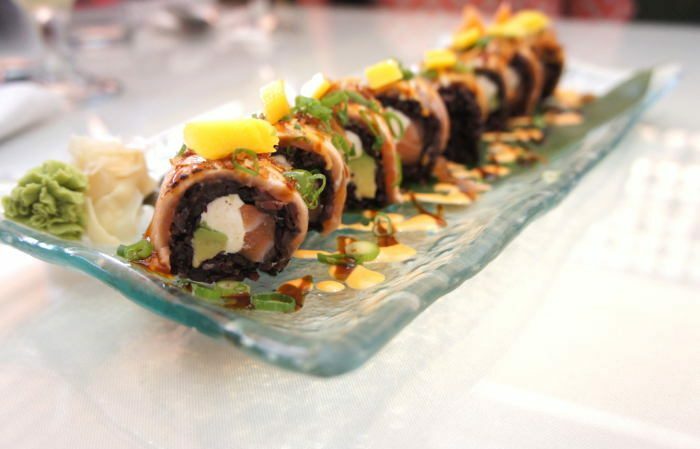 We highly recommend trying the Mango Sun Roll – it’s delightful. The truth is, we’ve never had a bad dish at Sun. 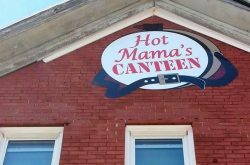 It’s always one of our go-to recommendations for visitors- young, old, picky eaters, adventurous eaters- it’s honestly perfect for all tastes. 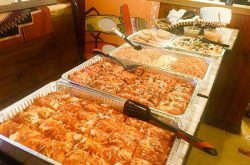 The team at Sun works hard to satisfy everyone while introducing them to cultures and cuisines they love. We kind of think of them as Buffalo’s Ambassadors to Asian cuisine, once you’re there you’ll get why. For more information about Sun Restaurant, visit their website and follow them on Facebook, Twitter and Instagram.